Navigating secondary school can be overwhelming for both families and students. From choosing the right school, understanding what gets taught and why, to bullying, and how to survive parent interviews, this new guide will help make those tumultuous years a little easier. Education Consultant Bali Haque has written a guide for parents, New Zealand Secondary Schools and Your Child. He has been the principal of four secondary schools, is a past President of the Secondary Schools Principals Association and he's worked at the NZQA, with a particular focus on NCEA. Well-known and respected within education circles, He’s also been the National President of the Secondary Principals’ Association, an executive member of the Post Primary Teachers’ Association, and a contributor to many Ministry of Education advisory panels. He knows his stuff. But the titles don’t cloud his writing. The guide is easy to read, incredibly informative, no-nonsense, and jargon-free. Each chapter is well researched and includes questions families should be considering, real-life examples from New Zealand schools, as well as what to do if things aren’t going quite as expected. 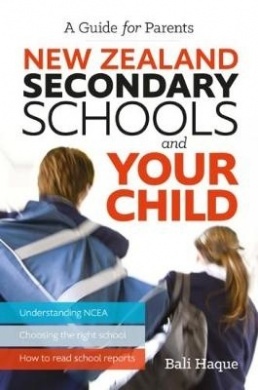 Of particular interest for most parents will be the chapters about NCEA. This, still relatively new, form of assessment is different than the old School Certificate and Bursary that most parents of today’s high school children sat. Haque not only offers a succinct guide to NCEA, he also breaks down exactly how to understand the results and how using them to judge a school is very difficult. Chapters about special needs, bullying and harassment, and school discipline systems are a nice addition and are often an overlooked aspect of a school by parents until they are necessary. With clearly defined topics and summaries in each chapter, this is an accessible and absorbing read. It will be of interest to principals, teachers, Board of Trustees members, parents, public servants and politicians. Overall Haque’s message is for families to take action – whether it’s because you aren’t happy with something, or because you don’t understand how it works. This guide will help educate and support families to speak up for both their own children, and for the hundreds of other students at the school too. In his guide and elsewhere he encourages parents to email or phone teachers and remain in the loop any way they can. That avoids surprises and reminds teachers of the commitment to their child's education. 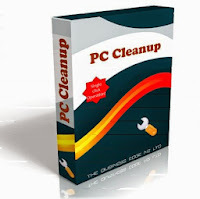 It will also give a different perspective and avoid nasty surprises down the line. New Zealand Secondary Schools and Your Child is an empowering, informative read to help families through one of the most challenging aspects of their teen’s youth.